With the nationwide shortage in nursing graduates, those who are looking for a career that will guarantee stability as well as potential for growth and advancement need to look no farther than a career in nursing. It can be difficult for a graduate in any field to quickly find a job within their chosen profession. This is why a career in nursing makes good sense. There are employment options for both LPN and RN graduates always available. This is how to go about entering into nursing programs in the state of Michigan. The quickest way into the nursing profession is with a degree as a Licensed Practical Nurse (LPN). It is a 1 year program with practical hands on experience. There are 34 accredited LPN nursing school programs throughout the state according to the Michigan State Board of Nursing. Once you have graduated with your Licensed Practical Nurse diploma, you must take and pass the NCLEX-PN exam. On a daily basis, licensed LPNs are assigned to perform a variety of nursing tasks such as recording vital signs, bathing, basic care for wounds, performing diagnostic tests, giving injections, providing medications, taking medical histories, feeding, and sometimes providing assistance to RNs or doctors with minor medical procedures. They often have many patients that they are assigned to monitor and provide responsible care for. 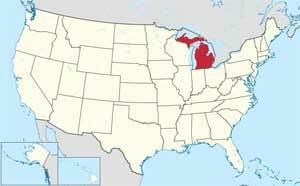 There are two separate ways to receive your Registered Nurse (RN) degree in Michigan that are approved by the BON. Either a community college or technical school offers Associate Degree in Nursing programs (ADN), which are generally 2 years in length. You may also choose to take the much more extensive Bachelor of Science in Nursing (BSN), which is a 4 year program. BSN graduates may find that they have an easier time finding employment right out of school as you will generally have received more clinical experience as well as courses in specialized areas. Either of these two options will allow you to write the NCLEX-RN exam. According to the Michigan State Board of Nursing, there are 37 accredited ADN programs as well as 21 that are at the Bachelor’s level in the state. As an RN you will have a full range of duties which include such areas as supervision of LPNs, injections, giving medication, treating all manner of medical emergencies, performing different diagnostic test procedures and working up treatment plans. Before you choose which RN route you wish to take, you should consider what goals you may have for the future in order to decide what is best suited for you, and how much time you wish to spend in study as opposed to practicing. 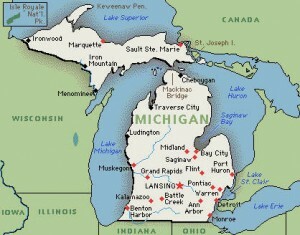 There are two main online nursing programs that are available in Michigan. One is offered by ITT Technical Institute and the other is offered through South University. This is an ideal option for those who need a more flexible schedule than a classroom usually allows.